Francisco Ortiz, a handsome straight-A student and gifted basketball player from the barrio, wins a full scholarship to an elite boarding school. His future seems promising. But soon after Francisco moves into the dorm, his new classmates assume the worst of him: they pepper him with questions about drugs and gangs. It’s all so confusing, made even more complicated when Francisco realizes that back home in the hood, he no longer fits in, though his friends still rely on him to solve their problems. In a desperate attempt to help one of his homies, Francisco makes a terrible decision and becomes everything he fought so hard to rise against. 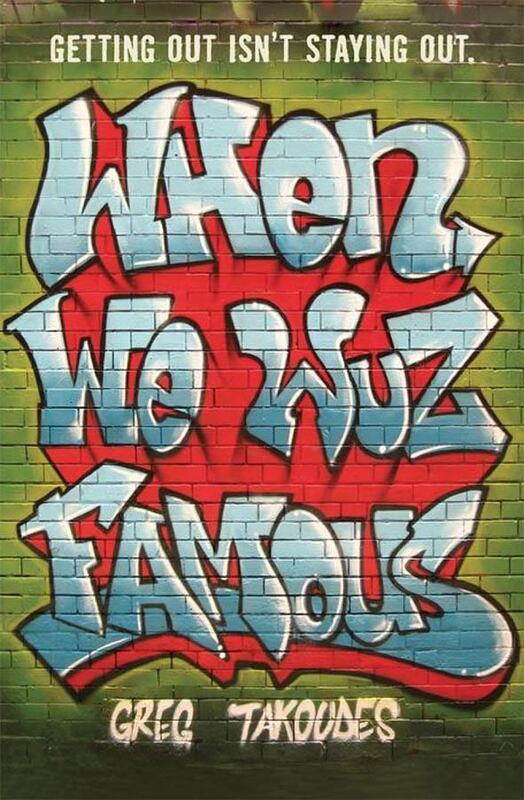 In When We Wuz Famous, Greg Takoudes has written a riveting novel about breaking down stereotypes, crossing boundaries, and clinging to where you come from.